A biofilter has one single function... to purify fish excretions which are part of the natural respiratory and feeding function of pond fish. 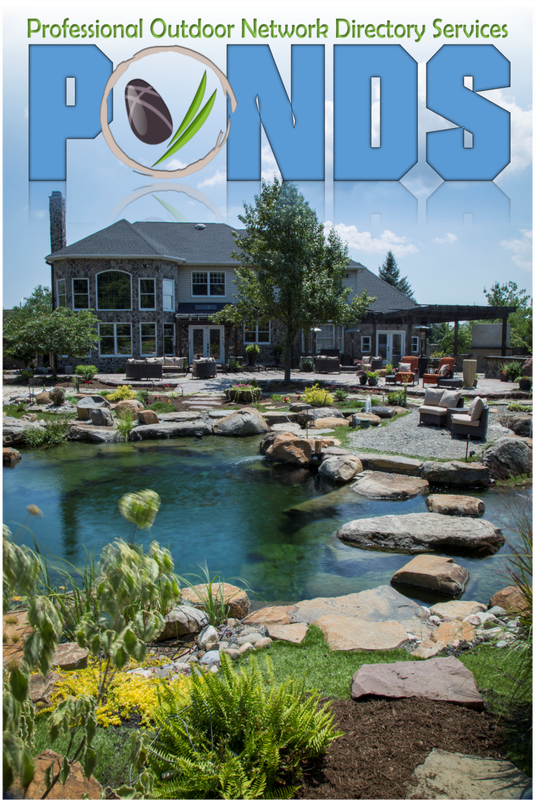 Filtration is one of the most important elements of your Twin Cities area pond system. The filter not only removes debris but, more importantly, your filter converts toxic substances into harmless ones. Biological filtration is where your system provides a place for beneficial bacteria to grow on special media. The system focuses the growth of bacteria. These bacteria remove harmful pollutants,through a natural process, from pond water. Known as the " Bio Filtration " or " bio reactors " these beneficial bacteria convert poisonous compounds such as ammonia and nitrite, into less toxic nitrate. The end by-product, nitrate, is used as a food source by aquatic plants. This continuous process is called the nitrogen cycle. 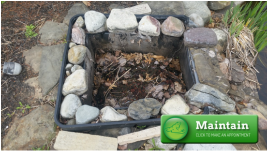 This type may be the most important filtration process in a pond system containing koi or goldfish. 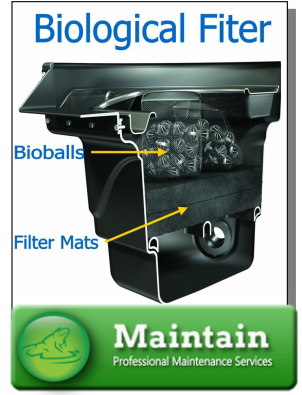 If you live in the Minneapolis St Paul (MN) areas and own a pond without a Biofalls Waterfall Filter contact one us today. Your Fish are depending on us to save them! !